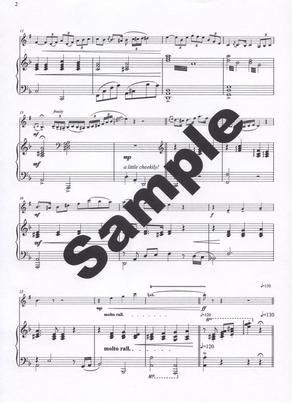 To access full sized printable sample pages, simply click on the page images above. 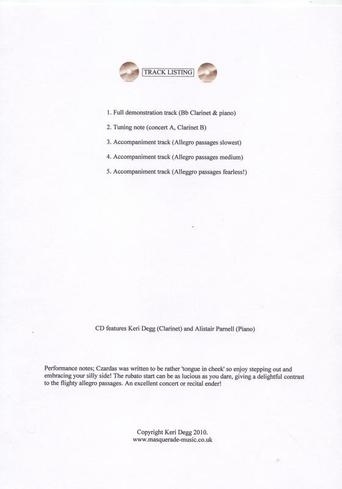 Written in 2010, Masquerade-music is proud to present 'Czardas' for B flat Clarinet & Piano - an original composition by UK composer Keri Degg. With a range from low E to top G (Clarinet) and standard of (ideally) grade 7+, Czardas should feature in every players repertoire list. 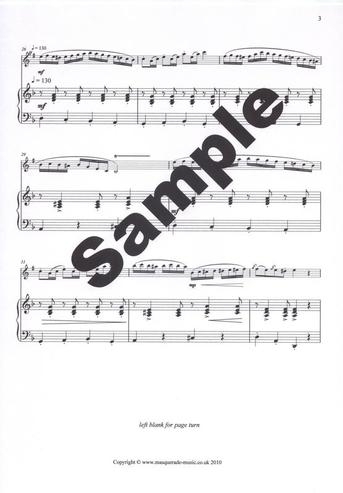 The composer received an overwhelming response to the piece on it's premier in the UK and decided to make the sheet music publicly available through masquerage-music. 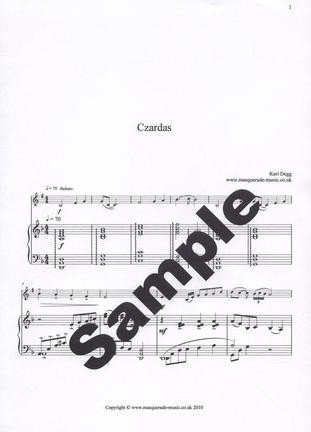 Czardas is also available as PDF/MP3 email delivery option (simply select this option from the drop down box when you go to buy, and we'll send your files to you via email within 48 hours).